In contrast to the early years of SEO, almost everyone and their dog has their website involved in Search Engine Optimization nowadays. In order to dominate difficult SEO markets in 2018 you will have to put in the necessary effort. But how will you outrank competitors in your market when the competition is as ambitious as you are? Obtaining high rankings in popular markets may be exceptionally hard, and thus you should not expect to reach the absolute top within a short time. Being involved in SEO means creating long-term strategies and constant updates make it so you can’t afford to be idle at all. If you’re curious about the strategies that have proven to work in difficult markets, do not fret, all will be explained! Rome wasn’t built in a day… Neither was it built in a week or a month, for that matter. 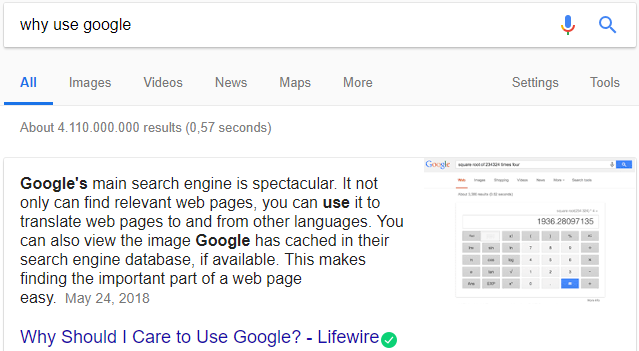 Now, if we take the Google search results as an equivalent of Rome, please try to acknowledge that your reputation (authority) will take time to grow. As such, it is not recommended to instantly throw your whole focus into the most competitive keywords in your already competitive market. In fact, doing so could be considered as a waste of time and effort. Long-term strategies are key! While you’re still building up the authority of your website, don’t even bother with the amazingly attractive keywords with huge amounts of search volume. While it’s a worthy ambition to have in the long term, it’s exactly that. Long term. In the early phases of your website, try to focus on long-tail keywords that are still relevant to your main keyword. Say you have just launched your new business. For example, an Online Marketing Bureau that offers services like Search Engine Optimization, Search Engine Advertising and Social Media Marketing. Your website will be new and will require huge amounts of authority before it will be able to compete in high volume keywords like ‘Search Engine Optimisation’. Luckily for us, keyword research has been made easy by keyword planning apps and websites. Google has its own keyword planner that gets frequently used and shows any relevant keywords and their search volumes. A great place to explore the options you have for long-tail keywords! While ‘Search Engine Optimization’ is a keyword you’ll hardly find any progress in, a long-tail keyword like ‘How to optimize your website for search engines’ has considerably less competition. 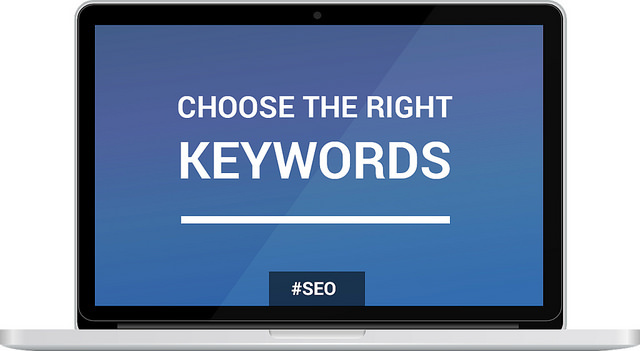 While that keyword alone might not be very exciting for you, using multiple long-tail keywords on your various pages will add up in the long run. Do pay attention to the long-tail keywords you use though, as you should avoid using keywords that mean the same thing but are just differently formulated. The Google algorithm is smarter than that and doing this would result in duplicate content, which is pretty much never good. Once your website has obtained a good authority you should gradually start optimizing for keywords with more competition. Do not forget about the long-tail keywords though, not updating your maintaining these pages will eventually result in a ranking drop. Something you’re probably not waiting for, considering the time and effort that has gone into obtaining your good positions. 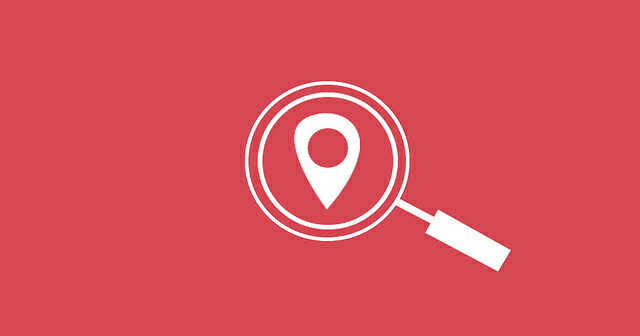 Local SEO is a great way to obtain website visitors from specific areas. This is a known fact, but a lot of the time doesn’t reach its full potential. Many SEO specialists only optimize the local pages that have a high search volume, fully ignoring the local keywords with a low search volume. Well, allow me to tell you a secret; Google shows you results based on your location anyway. Searching ‘Jewellery store’ while you’re in a specific city will mostly show you jewellery stores in the city you’re located. Try it yourself by searching for something regularly first, then searching the same thing with your browser set to incognito. You will find very different results. People searching ‘Jewellery store’ in Pittsburgh, Philadelphia or New York will all see different results, as such, local pages are a great way to give yourself some brand recognition locally. While local SEO and long-tail keyword options are great options to get some advantages over your competition, featured snippets are the way to skyrocket in both Google rankings as well as increasing Click Through Rate, traffic and conversion rate. The reason being that your featured snippet will be put above even the #1 position on a specific query. You are not required to have a #1 position in order to get a featured snippet, a website in the 9th position on a specific keyword could become a featured snippet as well. Sounds great, right? It is! However, there can only be one featured snippet per keyword, and even if that keyword doesn’t have a featured snippet yet it’s not a guarantee that your content will end up as a featured snippet. “Why?”, I hear you ask. Well, there are several conditions your content needs to meet before it will even be up for consideration. For one, you need to write your content in such a way that it will go well with any of the featured snippet types. While all three formats can be used for answering a query, sometimes it’s better to use a list or table than a paragraph to answer a specific query. It really depends on the type of query you’re trying to create a featured snippet for. While the query ‘how is cheese made’ can be answered in paragraph format, the query ‘what are the best websites for buying beauty products’ is best answered in either a list or table format. It might be a lot of work, but if you follow the steps and provide the best answer to a searcher’s query, you will be a happy camper indeed. Since many SEOs don’t even bother trying to go for featured snippets, there is a good chance you will end up keeping your featured snipped for a long time. With the recent Voice Search updates, a lot of featured snippets will be shown to Mobile searchers because almost everything you search for with Voice Search is a query anyway. Shoddy webhosting will really hurt your load speed and as such will also hurt your rankings. If your current webhosting is below average, you should really consider upgrading to a more reliable webhosting service. It’s absolutely worth it in the long run. In order to improve the user friendliness of your website, you should consider using AMPs, or Accelerated Mobile Pages, to improve the user experience. Google created AMPs alongside Twitter to improve the browsing experience for mobile users. Since Mobile Search has increased drastically the last couple of years, optimizing your website for Mobile Search is amazingly important. AMP’s developers have claimed that an Accelerated Mobile Page can be up to 4 times faster than the average HTML page. Another way to improve the experience of your visitors is by adding breadcrumbs to increase the ease of navigation. It also helps the Search Engine crawlers with mapping your website’s structure. UX is not a direct ranking factor, but it could increase Click Through Rate and Conversion Rate while potentially decreasing Bounce Rate, which are ranking factors. Homepage > Sub-page > Sub-sub-page > Etcetera. It might not seem like much, but abiding by these guidelines will make a difference. When you’ve optimized your website for all the steps, you’re ready to join the top of the food chain for your chosen market. Make sure you regularly update your website’s content, blogging is a great way to do this, and start gaining backlinks to make sure you keep your position from dropping again. While high-ranking positions in competitive markets are certainly no easy feat, it’s definitely possible to get yourself out there. Do keep in mind that long term goals work most efficiently in Search Engine Optimization, so keep your short-term ambitions to a minimum. The higher your rankings, the fiercer the competition and the harder you have to work to keep up. You can’t really quit SEO, not if you want to keep any high-ranking positions you have. So keep on progressing! My name is Koen Ras, a Dutch SEO-specialist at Online Marketing Agency LEQUAL in Amsterdam, The Netherlands. I have a passion for both writing and staying on top of recent developments in the world of SEO and I like to think out of the box in order to come up with creative solutions to common problems. Be authentic – In 2018 website users can spot stock pictures – I think many browsers want to deal with a small company where the person you are speaking to is the MD and can discuss in genuine detail how to make something. He knows having won the order he has to then deliver it. I have never come off the phone to a huge multi-national and thought I am so glad they employ 100,000 people. With the right strategy small businesses can compete with large multinationals certainly in some markets with the right help. Nice, neat put together tips really to help at least to change strategy to out-compete your competition. Ras maybe you would mention in the further post that most important psychology aspect is outrank your competition. This is part of Rank Brain. After all, to rank higher we need content, links, and rank brain. Also, Albert Einstein once said that "In the middle of difficulty lies opportunity". This article is written in this manner. Hope soon will post similar good posts. Great article. I am definitely bookmarking this to keep as a reference. I am not the full time SEO for my business, so articles like this really help. I am new to this game and hopefully I can put into practice what you have written. That’s a very good checklist right there.